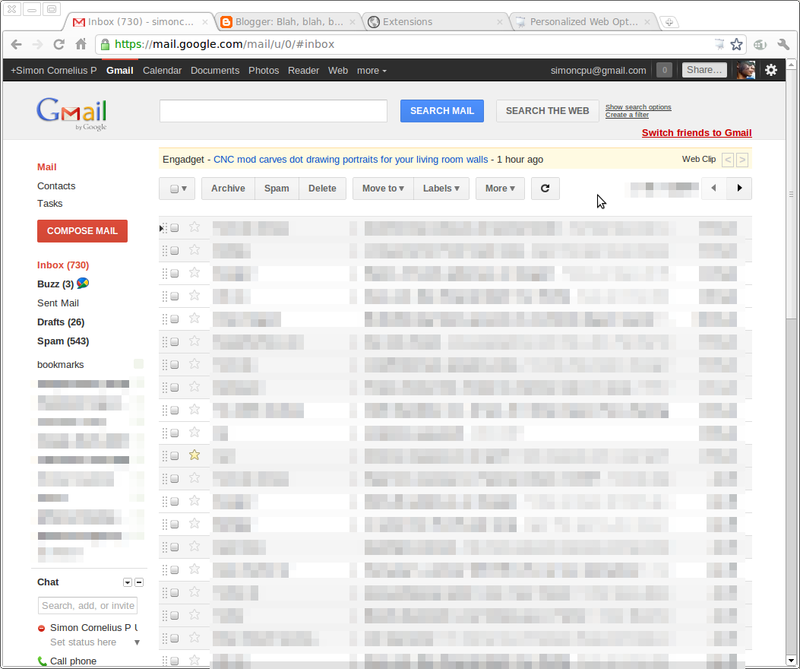 Gmail's Preview Theme without floating ads. 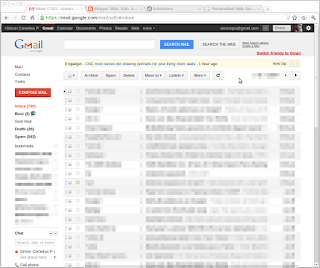 You switched your Gmail theme, and you find the floating advertisement annoying. Modify Gmail's stylesheet to prevent the ads from floating. Install the Personalized Web Chrome extension. Go to Tools -> Extensions. Find the Personalized Web section and click "Options". In the "Match URLs" textbox, input "mail.google.com". Reload Gmail to see the effect. Q: Why not just disable the advertisement in the first place? A: Nothing in life is free; Google is providing us with this free service in exchange for displaying ads. It's a fair deal. Q: Does this work on Firefox? A: No, but you can just google for steps on using a custom CSS. You may use the same CSS from Step 6. Note: This has been tested on Ubuntu 10.04 (Lucid Lynx). YMMV.